The vision I had in mind was inspired by the the antique kitchen in our summer cottage in St. Joseph, Michigan (the cottage that my Great-grandmother Seasongood built!). Green, yellow, and white in color with a very vintage feel. I just needed a few things to bring my vision to life, including some old picture frames from the thrift store. And in my stash of thrifted bed linens, I knew I had a yellow and white gingham fitted sheet from one of our many Junkin’ Journey trips. Gingham just seems to be the perfect fabric for a country kitchen, doesn’t it? 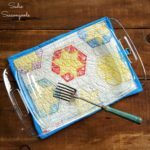 And with all the upcycling ingredients in hand, I was ready to get to work on my idea for country kitchen decor This post contains affiliate links for your crafting convenience. Just like I had done with my vintage sewing pattern art, I dismantled picture frames I had purchased at the thrift store and cut out a rectangle of bed sheet fabric slightly larger than the frame’s cardboard backing. Using Mod Podge, I then fused the fabric around the cardboard, folding over the ends. After that had dried, I laid out the seed packets on the fabric covered cardboard in the design that I wanted. Then, I dug out my vintage photo corners- thankfully, though, you can find new ones on sites like Amazon (such as these). I love using photo corners with my seed packets because while they are held securely in place, there’s nothing attached directly to the delicate packet- so, no permanent damage! I was already planning on gluing the photo corners to the fabric when I ran into an issue…How would I keep the photo corners and seed packets aligned with each other, straight, and evenly placed during the process without taping them down?? And then it struck me- MAGNETS! So, I placed magnets underneath my cardboard and then on top of my seed packets- they held together firmly, but I could still make adjustments to my seed packets to keep them even, straight, and aligned. With the vintage seed packets held in place temporarily but securely, I was ready to assemble them in the picture frames. The magnets worked like a charm, the seed packets were centered and straight, and the frames received a makeover in a Spring green. These look like they were custom made for my summer cottage’s country kitchen. 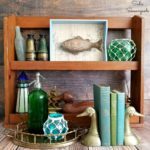 Even if country kitchen / farmhouse kitchen isn’t your style or if the green paint is too “snappy” for you, the magnet trick might come in handy for anything you’re framing! Especially if you want to frame vintage postcards, labels, or other other paper ephemera in a similar fashion: showcased by temporary. Interested in even more picture frame ideas for upcycling and repurposing projects? Please check out this amazing collection here before you go! I love this! Super cute idea! I showed it on FB yesterday, with your blog name of course. I love how you used the artwork on the seed packets to create something totally new. And using the magnets to hold the packets was genius. Thanks for sharing it at the Dishing It & Digging It Link Party. Great idea and they turned out super cute! Love your DIY shared. Thanks for joining the Inspiration Spotlight party! Love that you chose to showcase these in a bright green frame, very eye catching. I really LOVE this idea! Though I don’t have any vintage seed packets on hand, it certainly is an affordable project to recreate. Thanks for the inspiration! 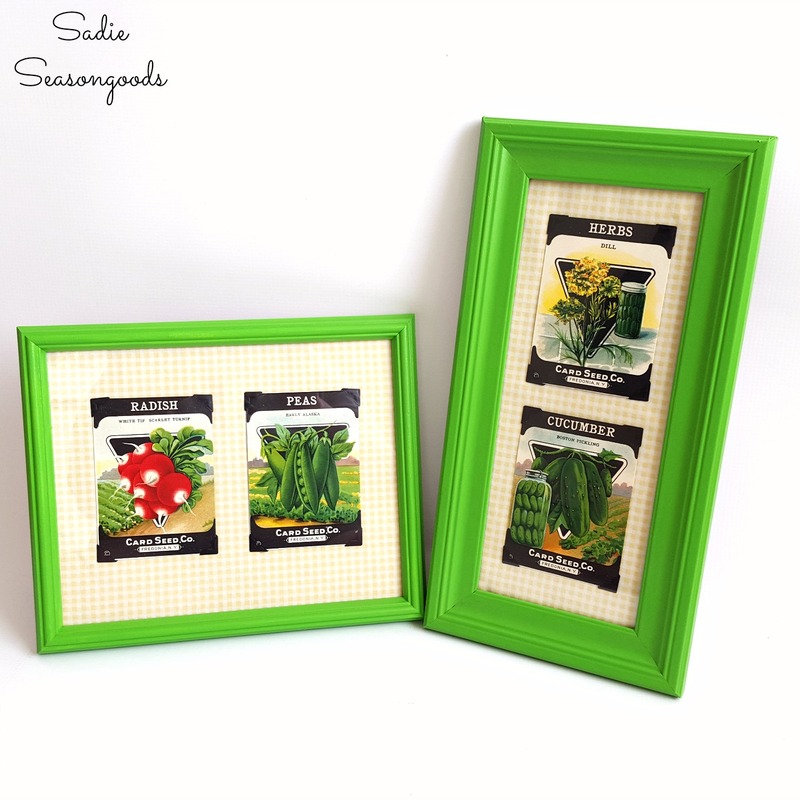 Those framed seed packets are adorable! I love the retro framed seed packs. They are so adorable. I would love to try one myself with red and white gingham and with watermelon and honeydew melon packets. So perfect for summer decorating. Ohhhh, watermelon on red & white gingham would be precious!!!! 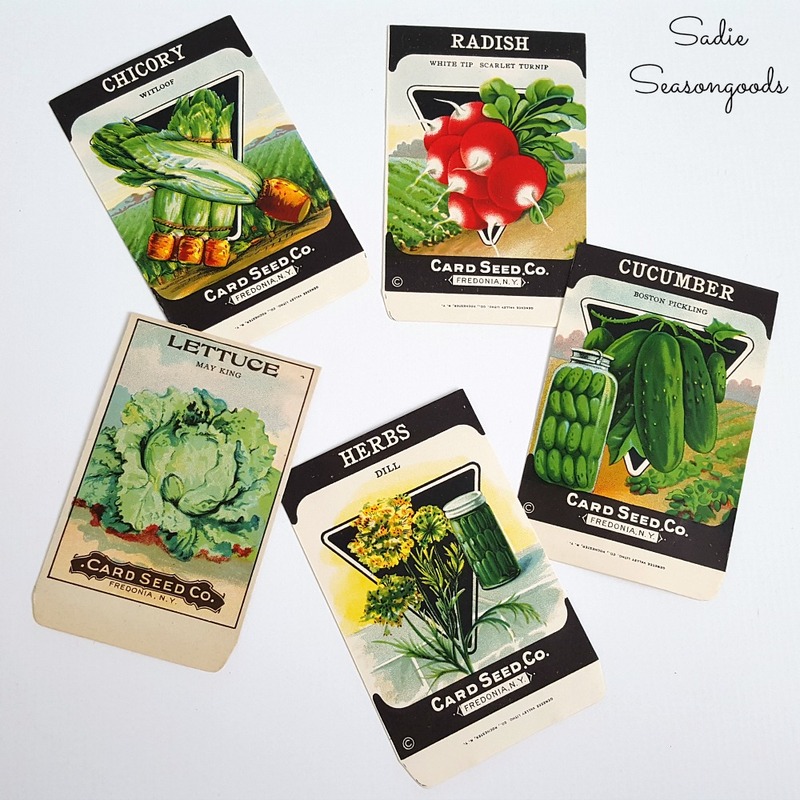 Love those vintage seed packets! And what a fun idea to frame them for your kitchen – a perfect DIY art project 🙂 Thanks for linking up with Merry Monday this week. What a lovely idea, so unique and different! I love that bright green! Thank you so much for sharing at Sweet Inspiration #4! Hope to see you again tomorrow! Thanks so much, I’ll be there! I love this idea! Pinning so I remember it when I redo my kitchen! thanks for sharing on the Pleasures of the NW’s DIY party! This is adorable, I like the bright green frames! These are darling! Your ideas are always so clever and inspiring! Thanks for sharing at Family Joy Blog Link-Up Party this week. Hope you come party again with us every Sunday at noon EST. Thank you so very much, Cristina- and I’ll be there!